The Perfect Hoops collection by Roberto Coin creates the perfect set of hoop earrings for any woman. Smooth strands of 18kt white gold form this 45mm pair, held in place with a curved post backing for a comfortable fit. 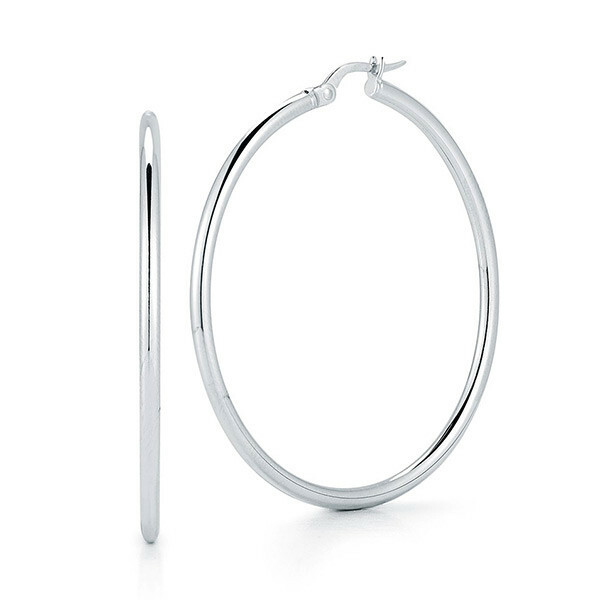 Are these sleek Roberto Coin earrings the hoops for you?